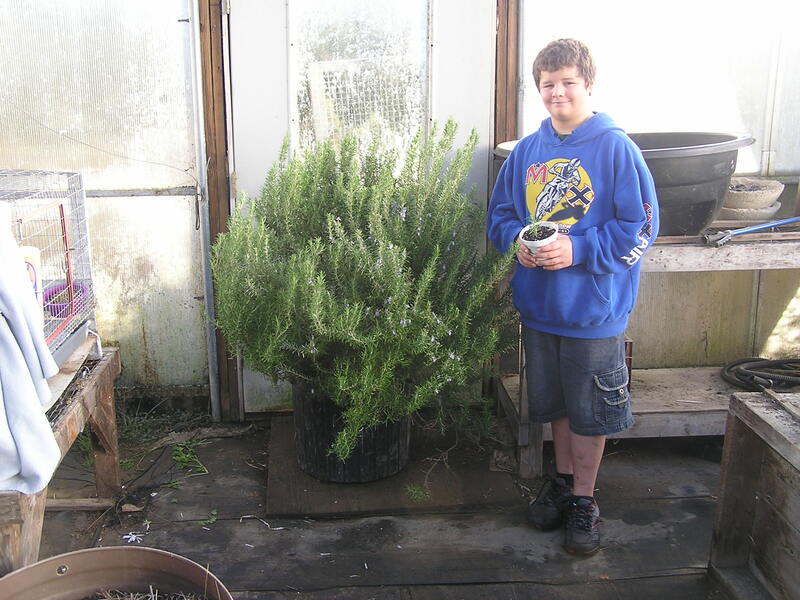 Each year the kids take rosemary cuttings to grow plants for sale. Extra plants are planted in the summer garden, allowed to grow, and taken out as large plants for sale. Some just keep hanging around the greenhouse and garden as this plant displayed by Travis. We had to use a dolly to get it out of the garden. What a prize!